Description yellowing and faded. 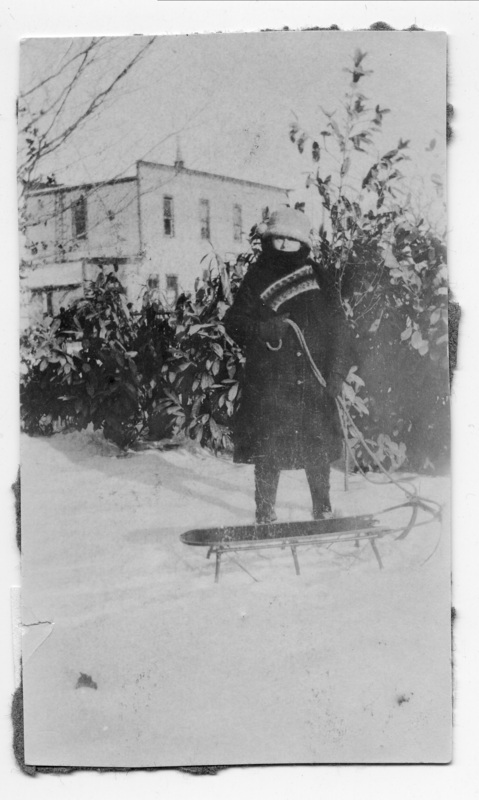 May be the Oswego Lumber building in the background and perhaps the big storm or 1920 or 1921. Physical Description H 4" x L 2 3/8"